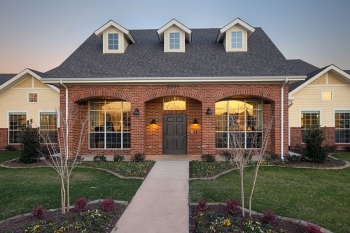 The Cottages at Clear Lake in League City, TX is a privately owned, state-of-the-art and licensed, Assisted Living & Memory Care comunity. Each resident is cared for based on their own physical, mental and emotional needs in a warm, caring environment that makes it home for them. The Cottages have been serving Texas since 1997 and is family-owned and operated by The Cottages Senior Living. Under the supervisions of our 24-hour staff, we provide personal care assistance, medicine supervisions, meals, snacks and specialized activities. Within our small community, we develop personal relationships with our residents. Our caregivers are specially trained to provide for those with memory impairments. Been in the market since 1990s. New residences available with luxury finish out and state-of-the-art design. Vigil dementia call system in place. Apartments available that are ideal for couples. Unique design of individual townhomes, so residents are living in smaller groups of 12 - 16 people. Dinner is served family style in your cottage. Onsite Alzheimers certified activity director. Activities designed around Alzheimers and dementia resident for all stages of disease. Caring staff dedicated to caring for individual needs of Alzheimers resident. 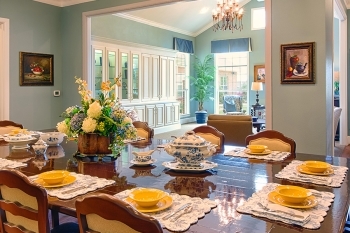 Meals are provided in a smaller setting, along with individual family rooms and dining rooms for each town home. Our unique floor plan and luxury finish out provides consistency and a home-like environment. Well-balanced meals are served family-style in each cottage. Our activity program is designed for memory impairment, and we offer personalized care for all stages of Alzheimer's, Parkinson's, stroke and other dementias. But it's our home-like environment is what makes us special. 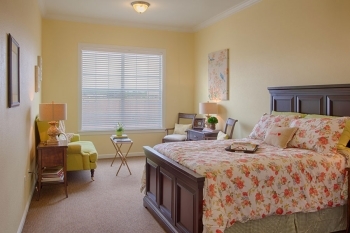 Our residence is designed with four individual town homes for 8 - 12 residents. This individualized approach provides comfort and security for the resident. For more information about The Cottages at Clear Lake in League City, please complete our Request for Information form below, or call (281) 661-1446.